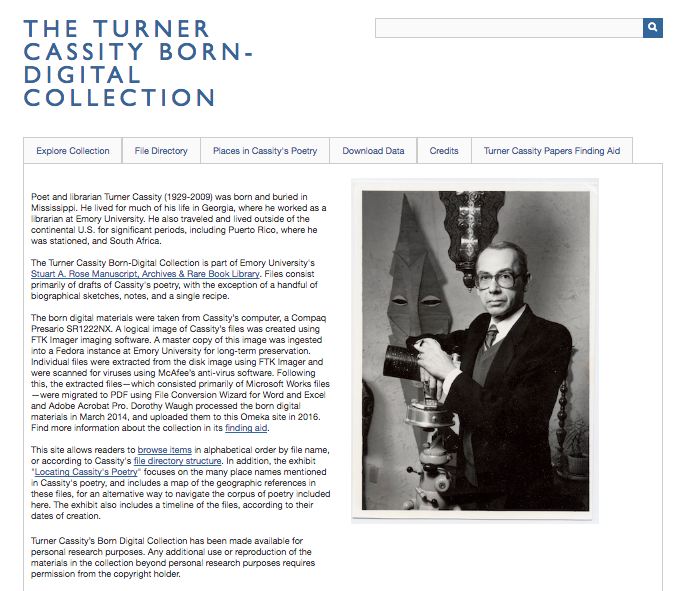 The Turner Cassity Born-Digital Collection presents drafts of poetry from the born-digital materials in the Turner Cassity Papers, held by the Stuart A. Rose Manuscript, Archives & Rare Book Library at Emory. The born-digital materials in his papers come from his computer, a Compaq Presario SR1222NX. This project is unique for the Rose Library, making born-digital materials publicly available. Normally, this type of material is only available to researchers in the Rose Library reading room. For this project, we obtained permission from the literary executor to make the files available to view online and plain text versions available to download for personal use. This site, built with Omeka, allows readers to browse, search, and view the poems and their metadata, including the date the file was created and last modified. 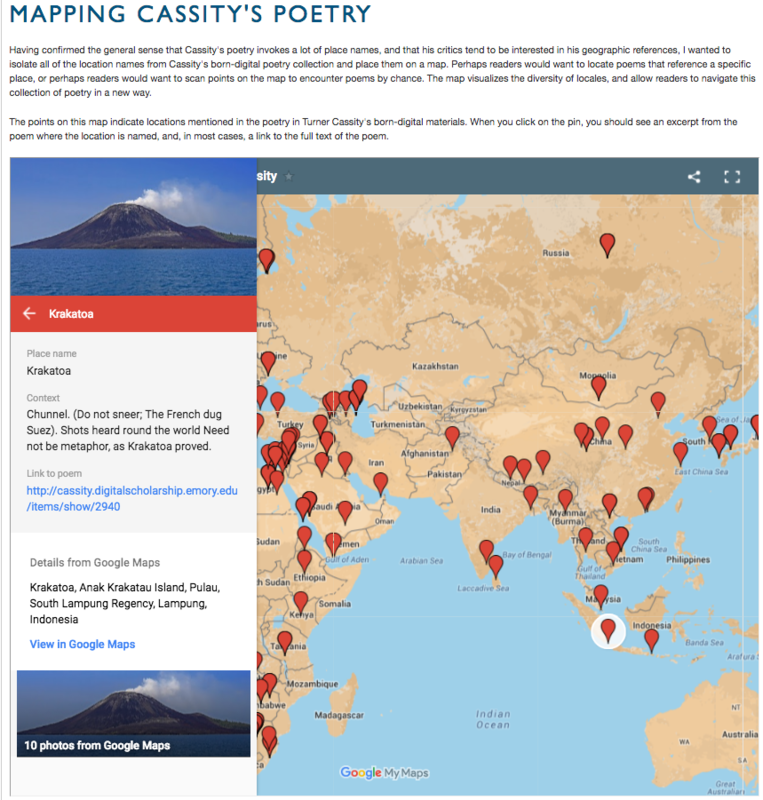 In addition, an exhibit on “Places in Cassity’s Poetry” explores the possibility of applying digital humanities methods including text analysis, named entity recognition, and mapping to born-digital archival materials. stories archives, born-digital, Omeka, poetry, Turner Cassity. permalink.